My birthday is this weekend! Yay! Sipping champagne in a hot bathtub, playing video games, reading a book, and watching boyfriend play a show are how I’ll be spending it. Those are a few of my favorite things, so today I thought I’d share a few more. These are some of the products I’ve found that I can’t imagine living without anymore – they make my life so much easier! 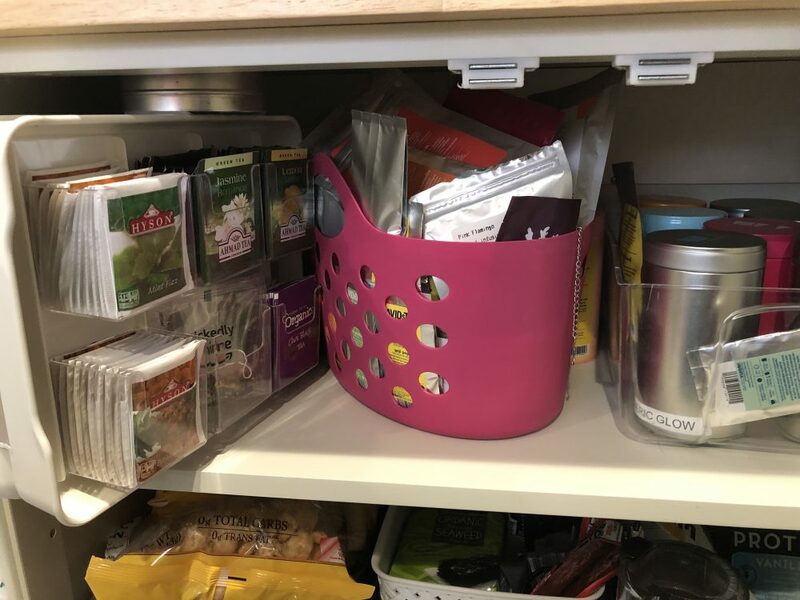 Tea Bag Organizer: I had seen these advertised a lot and thought they were super gimmicky, but after too many visits to DavidsTEA, it was clear I needed to do something with my boxed teas. When it was on a lightning deal, I finally went ahead and nabbed it – and, as advertised, got SO MUCH space in my cabinet back. If you’re an avid tea bag drinker dealing with piles and piles of boxes in your cabinets, I can’t recommend this enough. SET: I love games – board games, card games, and even recently video games. SET is a longtime favorite card game of mine. You look for “sets” of three cards that either have everything in common, or nothing in common. It’s a good brain teaser, and I like it because you can play it with someone or solo. Coat Hook: We have three of these in our house now, and they’re exactly what I was looking for when I found them last year. It was surprisingly hard to find single hooks that were affordable! This hook is $1.88 and we hang additional coats on them in our coat closet, and I mounted one in my office to hang my blanket (forever cold) and work bag. Boot Socks: A few years ago I ordered these on a lightning deal to give someone else, and ended up claiming a pair for myself. They’re soft, thick, so warm, and really cute. If I had any more space in my sock drawer, I’d order another set so I’d never run out between laundry. Top Knot-Friendly Beanie: I’m not sure if this is a sign that I Have Given Up, but 99 days out of 100, my hair is just in a messy top knot on my head. That always resulted in me looking pretty silly during the winter, with my beanie half-off my head. I had a similar one from lululemon a few years ago, but the ghosts in my old apartment made off with it somehow, so I was pumped to find this one on Amazon for a super reasonable price! Drawer Organizer: JosephJoseph has the best kitchen stuff – multi-functional, space saving, and fun. We had a weirdly narrow drawer in our kitchen, and I picked this organizer up after seeing it on Apartment Therapy for the 40th time. It’s a nice use of space that would otherwise have been junked. Travel Infinity Scarf: This simple, classic infinity scarf would have been perfect when I was traveling non-stop. It features one inconspicuous pocket, big enough for a passport, some cash, and even my iPhone 8 (though that does weigh it down significantly.) I’ve taken to not carrying a purse with me much anymore, so this is a great help in freeing up my hands! Foldable Duffel Bag: THIS BAG IS AAAAAMAAAAZING! It doesn’t look like much, but holy cow, it can hold a lot of stuff. I’ve used it on two week+ trips, and I don’t find myself struggling to edit or make room for things that don’t fit. It folds up into itself, so it makes a nice extra to throw in a bag on a trip you might shop on, and it’s so lightweight it doesn’t add any extra bulk. It’s become my favorite travel bag. Picture Ledge: In my old bedroom, I only had one nightstand, so on nights that my boyfriend would stay over, I wouldn’t have a surface to put my phone or a book on. Enter: the picture ledge. It’s a narrow width so it didn’t jut out (no headbanging in the middle of the night) but large enough to hold my phone, a book, and some other essentials like chapstick or lotion. I even stuck some fairy lights under it to serve as a reading lamp, and mounted a mason jar lid so I’d have a place to “put down” a glass of water! What are some of your favorite products to make life easier? Have you tried any of these before? 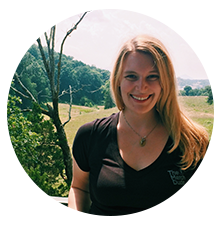 The past couple of months have been tough for me – moving out of Nashville and helping out with my family, while trying to prioritize my own mental health and happiness has been more challenging than I thought. I’ve been working hard over the last month to put myself first again and try to better relax. Here are a few ways I’m working it out! Drink water. This one might not sound very helpful or important, but the act of drinking water has always been a great reminder for me to take a breath in my day – to get up from my computer, take a minute for myself and relax. Plus, making sure you’re properly hydrated is the best way to prioritize your health! Put one thing on your to-do list that you’ve already done, and check it off. Planning and making lists is one of my favorite things – and most of all, I love checking off the accomplishments. On the days where I feel particularly overwhelmed, or like there’s no possible way I’ll ever get it done, I write down something I’ve already done. It can be as simple as “eat breakfast” or “brush teeth” or “charge phone.” I think there’s something empowering in feeling like you’ve completed something on your list before you even get the rest of your day underway! Unplug. Take a bath, go hiking, get off the grid for a weekend, give your phone to a friend – do whatever you need to do to get away from your distractions. I’m a person who finds it impossible to relax if I have any type of reminder of the outstanding tasks I have to do, so the best ways for me to disconnect are taking a shower, having a nap, or going for a run with my phone on airplane mode. Take a break from your responsibilities, and you’ll be more recharged to take them on! Make a vision board. Times in my life where I’ve been really overwhelmed by circumstances – not liking the job I was in, the city I lived in, or whatever else – I’ve made vision boards to imagine what my ideal life looks like in order to help me get to it. 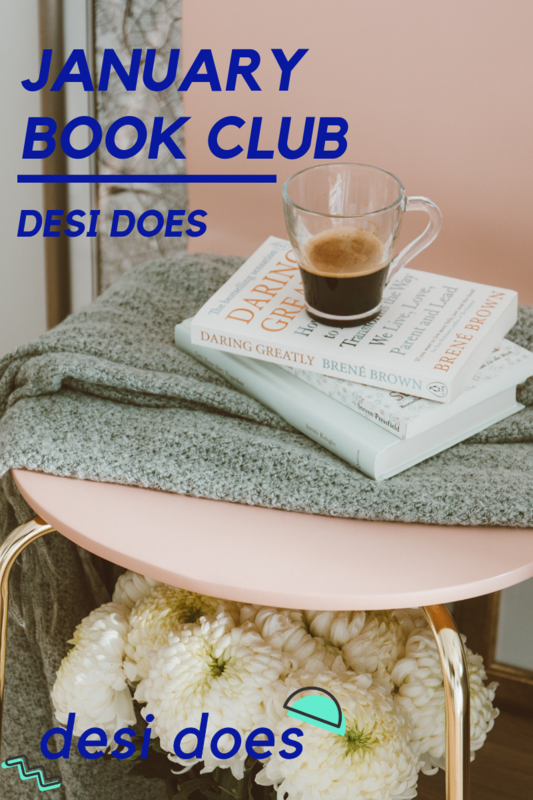 Occasionally this has been more anxiety-inducing than relaxing – it can be daunting to think about what your ideal life will look like and what steps you’ll need to take to get there – but it can be motivational in helping inspire yourself to get out of a funk! 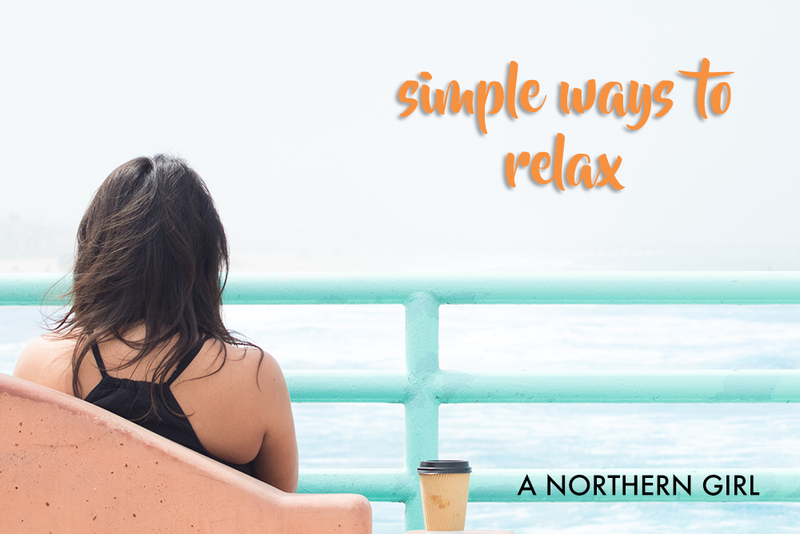 What are your tips for easy and quick ways to relax? Walk the terminal for exercise. I don’t just mean making the long distance sprint between gates to catch a flight, but keep active and moving. It will help ward off any travel weight, and help prevent a PE or blood clot. Stop by a 10-minute manicure kiosk. They aren’t very expensive, and the relaxation benefits can work wonders for stressed travel brains. Blog! Even if you don’t currently have one, you can build one quickly during a layover and you don’t even need your laptop – WordPress’ mobile app is great for on-the-go posting. 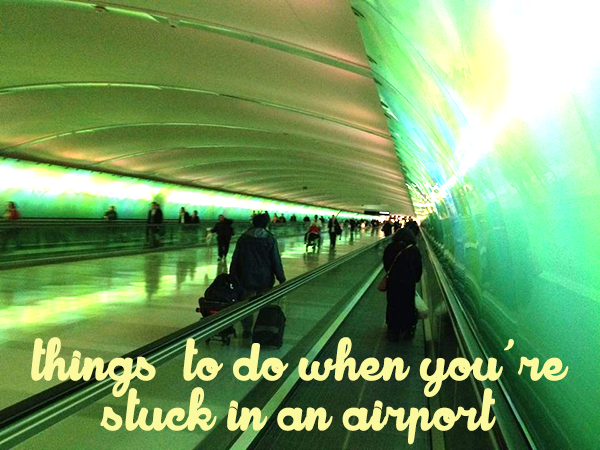 Go on an airport scavenger hunt – here’s one idea, or maybe try my version by clicking here! Drink local beers. Because obviously.